Mostly clear. Gusty winds diminishing after midnight. Low 42F. SW winds at 20 to 30 mph, decreasing to 5 to 10 mph..
Mostly clear. Gusty winds diminishing after midnight. Low 42F. SW winds at 20 to 30 mph, decreasing to 5 to 10 mph. 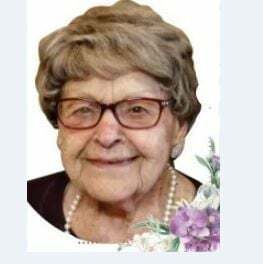 Ida Kaufman, 100, passed away on March 9, 2019 in Twin Falls, Idaho. She was born on Sunday, September 15, 1918 in Scott City, Kansas to Daniel M. Bontrager and Polly Miller Bontrager. Ida was the next to the youngest of seven children. She was raised in Yoder, Kansas on a farm where she and her siblings worked and milked cows. Through hard work and diligence, Ida’s family survived the Great Depression, the Dust Bowl, and many droughts, managing to hang on to the family farm. Ida met her husband to be, Floyd W. Kaufman, at Hesston College in 1937. On May 17, 1940 Floyd and Ida were married and moved to Wichita, Kansas where Floyd worked in the war effort building airplanes. After the war, Floyd and Ida bought a farm in nearby Walton, Kansas. By this time, they had two sons, Larry and Ray. In the fall of 1947, Floyd and Ida took a hunting trip to Idaho and fell in love with the mountains and the hunting opportunities which Idaho offered. Soon after they moved to Idaho and purchased a 160-acre irrigated farm between Buhl and Castleford where they raised cattle. They later purchased additional adjoining ground around them and increased the size of their cattle herd. Meanwhile their third son, Gary, was born. They gradually turned from farming to raising cattle. Her years on the farm were spent raising a family and helping with farm chores. Floyd and Ida had a wonderful fulfilling life together. In their later years, Floyd’s eyesight began to fail and they gradually sold ranch land and purchased residential and commercial properties. Floyd and Ida eventually retired and moved to the Bridgeview Estates in Twin Falls. Floyd and Ida celebrated their 75th Wedding anniversary in May of 2015. Floyd passed away in October 2015. Ida continued to live at Bridgeview. She loved being with her friends, singing in the choir and playing bingo. Ida is survived by sons, Larry D. (Marynel) Kaufman of Argyle, Texas; Ray G. (Effie) Kaufman of Boise, Idaho; and Gary L. (Carol) Kaufman of Twin Falls, Idaho; eight grandchildren and 22 great-grandchildren. The family wishes to express gratitude to all who remembered Ida in thought, deed, and prayers over the years and especially to all Ida’s friends and staff at Bridgeview Estates. The family especially wants to thank Dr. Lisa Burgett for her continuing care and kindness and Dr. Timothy Enders for his care and compassion in the hospital. The family also wishes to thank Comfort Keepers staff for their care. Funeral service will be held at 11 a.m., Wednesday, March 13, 2019 at Farmer Funeral Chapel, 130 9th Ave N, Buhl, Idaho with a viewing one hour prior to service. 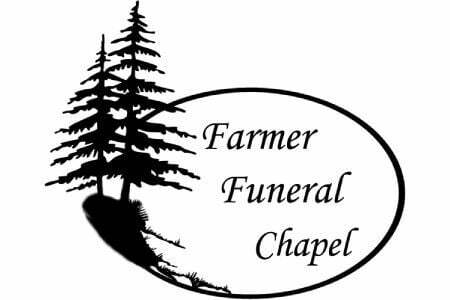 Memories and condolences may be shared with the family on Ida’s memorial webpage at www.farmerfuneralchapel.com.